When Kurt Vile announced his latest LP, he described its sound as “all over the place”, citing that he now feels comfortable enough within his own songwriting to “sort of tap into every world and make it sound cohesive.” It has become very difficult to disagree with his proficiency as a songwriter, with Vile’s previous work boasting an incessant ability to effortlessly find an exquisite hook, and an unerring ability to unfurl lyrics of utmost sensibility in uncomplicated fashion. With b’lieve i’m goin down, Vile is on appropriately unhurried form, wheeling out over an hour’s worth of handsome finger-pickers and Appalachian influenced folk tunes. There are without doubt some inerrable moments of almost perfect ataraxia on this record, but whether or not the procession of self-realizing aphorisms and not-so-hangdog confessions remain as consistently compelling as 2013’s AOTY candidate Wakin On A Pretty Daze is up for debate. Lead track and album opener Pretty Pimpin can be looked at in the context of the album as a bit of a diversionary tactic, raising the curtain with a playful simper, before the album takes a more reflective, ruminative course that you can now generally expect from a Kurt Vile record. As a standalone track,Pretty Pimpin is Vile not far from his best in certain respects; with a cursive guitar segue picking it’s way around some reasonably stoic drums. Lyrically, it’s not as cultured as his most venerable wordplay, but is well in keeping with the curveball that it is as a curtain raiser. Vile seasons his mostly meditative blueprint with occasional tunes that build from a spidery, piano-based nucleus, and introduces banjos sporadically as the record meanders through its course. Vile is meticulous in his craft on this front, and in Pretty Pimpin, a heavily camouflaged synth even garnishes the arbitrary guitars that are his bread and butter. Nothing is ever rushed with Vile, and not many songwriters could record an album of this ilk without sounding self-indulgent. The fact of the matter remains, simply, that urgency is not something that sits at the forefront of his mind. Despite the more resourceful approach that Vile has taken when writing this album, a slightly sharper focus has taken away a fraction of the insouciant appeal that was so imperial with Wakin On A Pretty Daze. Tracks such as That’s life, tho show Vile at his cogitative best, reflecting beautifully on life as a ubiquitous entity, whilst Lost my Head there provides a perfect piano canvas for his old-soul voice to sparkle. Vile is at his very best when he is studiously resonating via the medium of his songwriting, and in keeping with that, it’s these tracks that give b’lieve i’m goin down its strongest, most coercive moments. 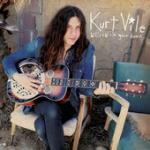 Kurt Vile did however say that he felt he’d written his best ever song for this album, but did not elaborate as to its name. I can only assume he was referring to the album’s closer, Wild Imagination, where the ethereal attraction of the Appalachian overtones glisten with serene grace and allure, and close the album at its absolute peak. Simply gorgeous. There’s no opposition from me that this is a very good album. Kurt Vile has very few contemporaries when it comes to writing veracious, sincere and mesmerizing music, and the undemanding, weightless structure upon which he synthesizes his work is always going to be compelling and hugely captivating. It’s always difficult to review a follow up to an album that was so insatiably brilliant without allowing it to reside in its shadow, and it is maybe that shadow that makes it slightly less compelling than Wakin On A Pretty Daze. Nonetheless, b’lieve i’m goin down is further evidence of Vile’s conclusive authenticity, and his position as one of songwriting’s most understated commodities.